When drying Spirulina, it is important to keep it out of the sun as it zaps the nutrients out of your bounty. 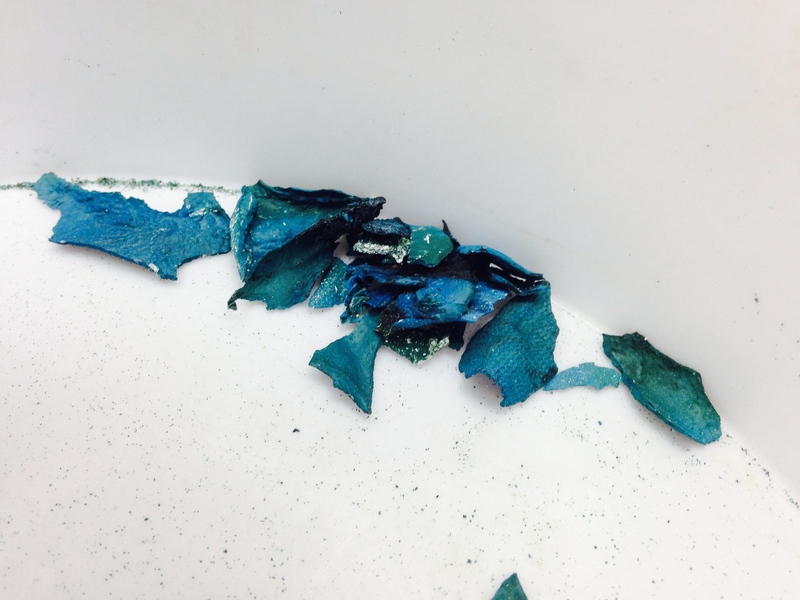 It also happens to turn it a pretty aquamarine when it oxidizes. 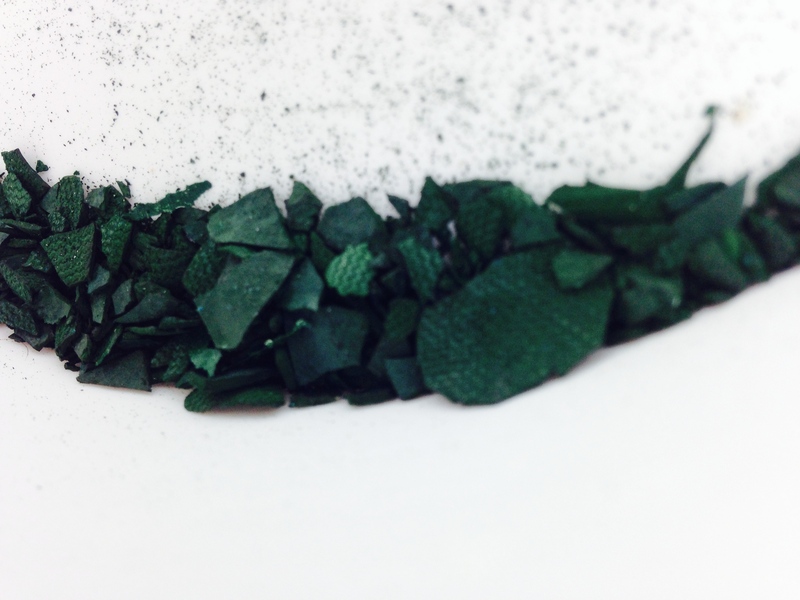 Here’s Spirulina that has been dried in the sun. Here’s some properly dried Spirulina. Not so oxidized. Nice dark green color.